If you like your Italian style high fashion dress shoes to have that fancy buckle on top and you also want them to have those long toe style that looks great in the both the club and with wide leg style pants. 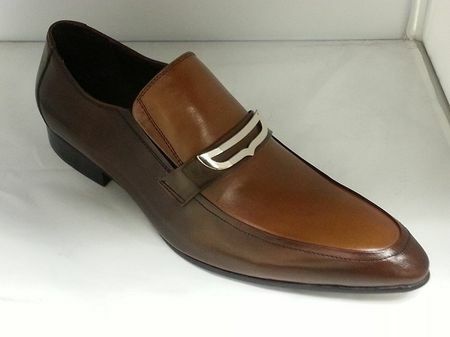 These brown and tan color loafers by Zota will bring the pizazz with you. The two tone design really works with your favorite club friendly jeans and a fancy looking blazer.